In 1997, the Palace of Caserta was listed as a World Heritage Sites according to the evaluation criteria of UNESCO. The listing also included its Park, which incorporates the English Garden, built at the instigation of Queen Maria Carolina on the suggestion of Lord William Hamilton, British ambassador to the Bourbon court. 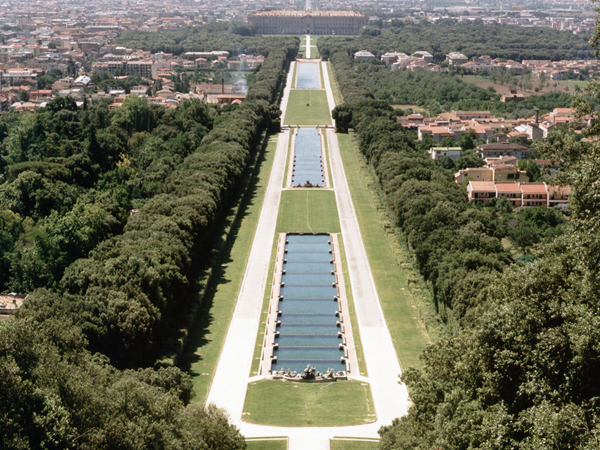 The Palace complex includes the Forest of San Silvestro and the Carolino Aqueduct, an impressive feat of hydraulic engineering designed by Luigi Vanvitelli. These architectural complexes are the property of the Italian State and are managed by the Ministry of Cultural Heritage and Activities. They were built in the second half of the eighteenth century at the instigation of the Neapolitan Bourbon dynasty, and are now testament to the grandeur, the culture and the long-sightedness of the Bourbons. The UNESCO site also includes the Belvedere of San Leucio, which is the property of the Municipality of Caserta and is managed by the same. At San Leucio, Ferdinand IV of Bourbon created the Royal Colony of San Leucio, a type of utopian city which provided an innovative system of social reforms, regulated by laws stemming from the Enlightenment and by a commercial system of organisation linked to the production and processing of silk. Thanks to the presence of such a UNESCO site, it will be possible to set in motion a beneficial process which can validate, in terms of high-quality cultural tourism, an area which is extremely delicate in terms of social fabric, but is rich in architectural and artistic gems of great importance.